The mythical start of all things new, except the only thing that will really change by tomorrow is the date. Most of us will still wake up in the same bed, in the same house, with the same life that we went to bed with the day before. Many times we cannot change our lives, at least not quickly. Not in a magical week of sticking to our New Year’s Resolutions any way. However, even as the world around us does not change, our perspective on it can, and the Bible has a fairly simple, if not always easy way of (ahem) looking at it. 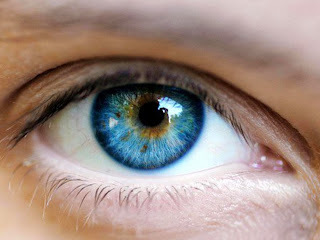 The eye was considered the window to the soul and for the Israelite population to which this was written the eye that shows light coming out signified a generous, spirit filled person who sees good in others. The eye that shows darkness signified a selfish, narcissistic person that has a heart only for themselves and their own making their actions bad for everyone else. As Jesus points out in Mark 7, it is what comes out of us that makes us clean, good, spirit filled, and loving. What do our eyes, and subsequently our view of the world tell us about ourselves? There are three easy questions we can look at to tell us whether or not we are seeing the world with light filled eyes or a darkness that looks more to ourselves than to others. 1. How do you interpret other people’s actions? If someone is late and you assume that they are lazy, but when you are late you understand that it was because of traffic then you are very normal…but maybe not very Biblical. It is natural to interpret other people’s actions in a negative light and ours in a positive one. But what would happen this year if you gave your co-workers, family, friends, and spouses the benefit of the doubt? Try it and see how it affects your relationship with them as well as your own attitude. See what kind of light can shine out of you. 2. How do you see your future? I know that this upcoming year is going to be a hard one for us. We have many things going on that are at the hardest stage of growth. They have passed the planning stage and are ready for execution, yet no one is used to them, they are not self-repeating, or automatic for anyone involved. We don’t have one ministry, church, or start-up project that is on autopilot. It is going to be a hard year professionally and personally as we continue our studies and expand our family. Yet we can choose to look at the opportunities and allow this to fill us with energy or we can look at the difficulties and be drained of energy before we start. This is probably the hardest one for me personally because I am a natural troubleshooter, predisposed to see all possible problems, snags, sinkholes, walls, barriers, stumbling blocks…I think you get the idea. Yet how we see the future, hope-filled or hopeless makes a huge difference. How bright is that light coming forth? 3. How do we see our role in the world? Are we looking to be blessed in 2014 or to be a blessing to others? This is probably one of the most important. I was surprised when I started studying this passage to find that what the Israelites referred to as the evil eye was a person who thought of nothing but themselves. Their hunger for their own advancement made them evil in the eyes of the community. As we enter this next year fixated on improving ourselves, having a banner year, or out doing what ever it was we accomplished in 2013 we also need to think about what our true role is. The Bible makes it clear that our purpose is not to be blessed, we trust in God for our blessings. Our purpose is to be a blessing to others. For me this could possibly be the best New Year’s Resolution that we could make. Find ways in 2014 to be a blessing, whether it be small, large, funny, serious, in times of need, or just for the heck of it. Let your light shine, FOR OTHERS, in 2014.